Say goodbye to blackheads and acne with Bamboo Charcoal Anti-Blackhead Face Mask Cream. Its active carbon-rich ingredients ensure deep cleansing and improving overall skin texture. The Charcoal Anti-Blackhead Face Mask cream removes dirt, dead skin cells and excess oil from the face along with lifting blackheads and tightening pores. It targets acne and other impurities, thereby leaving the skin appearing visibly brighter and smoother. The unique formulation of bamboo charcoal deeply penetrates into the skin and breaks down toxic deposits.It also improves skin's elasticity and makes it appear clean and nourished. Explore the entire range of Masks & Peels available on Nykaa. 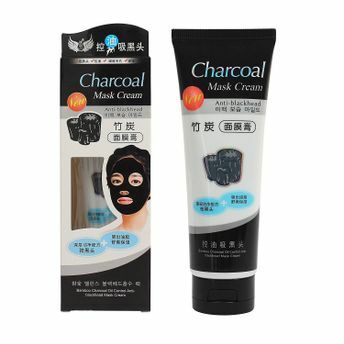 Shop more Charcoal Mask products here.You can browse through the complete world of Charcoal Mask Masks & Peels .